Which Arizona Cities Are You Loking For? Would you like to discover Arizona Cities? Well, why not? With so many to choose from you can bet that there are plenty of things to do no matter where you go here in the Grand Canyon state... so let's go! Whether you are looking for information on demographics, community profile, business connections, tourism, parks, tax and licensing, jobs, updated news, public announcements, community involvement, picutres, tourism information, courts, you will likely find what you are looking for on our site. If not, please contact us and let us know what you would like to see. We would love hearing from you. 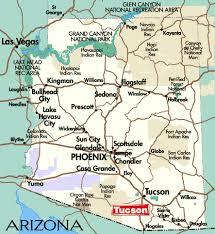 We have provided an AZ city directory link at the bottom of the page for a listing of Arizona cities. Why Do People Choose Arizona Cities? Without question, our state is known for its hot summers and pleasant winters, offering both our year round residents and thousands of monthly visitors a wide array of things to do! Even in the hot summer months, there are plenty of activities one can do early in the early morning hours. On a personal note, I am an avid hiker and fan of exercising outdoors so to avoid to avoide the excessive heat, I simply get up early and get my exercise in before it gets too hot. There are plenty of water enthusiasts who enjoy water recreation and of course when on the water, it never seems quite as hot when you have access to getting into the lake or river. There's also hiking, biking, bird watching, golf, and of course the number one major attraction, the Grand Canyon amongst just some of the things you can explore when traveling through AZ cities. For those who say that Arizona is nothing but dirt and desert... well, let's just say they are obviously misinformed. Nothing could be further from the truth as there is SO much beauty and things to do in this state that you could easily spend weeks or even months still not have seen all there is to see and do here in the Grand Canyon state. Just to name a few… The information you will find here will likely answer many of the questions you might have about AZ cities, AZ government, travel and recreation, licensing information and so much more. One of the directories (below) will supply you with cities in Arizona along with inclusive information about demographics, maps and other resourceful information. This AZ cities directory, courtesy of Wikipedia, gives you the option of selecting various languages, if English is not your first language. You can access this site by visiting the AZ Wikipedia City Directory.